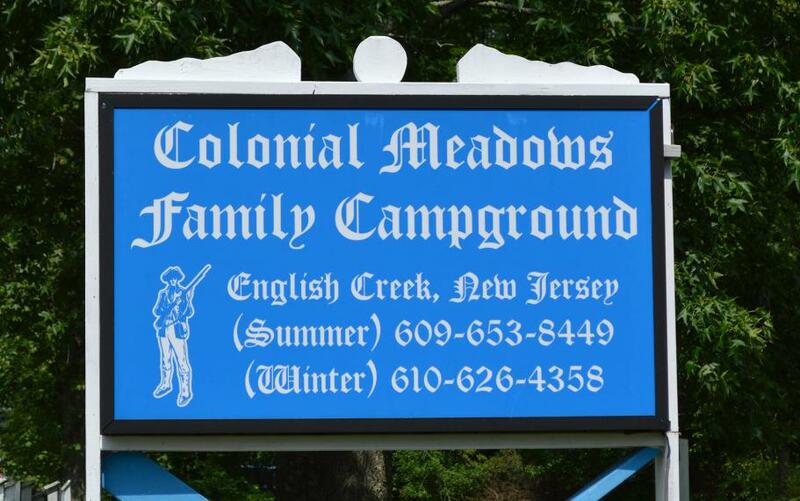 Colonial Meadows has long been known as a relaxing, family-oriented campground located only 6 miles from Ocean City beaches, with large pull-thru wooded or open sites, seasonal and transient. Activities include: pancake breakfasts, Sunday brunches, church services, donut making classes, taco and hoagie nights, "Christmas in July", annual Chili Cook-off, Penny Carnivals, craft classes, annual "visiting artist" painting class, and an exciting Halloween Party. You can also spend quality time in the large pool or picnic on the pavilion! Consider spending some old-fashioned vacation time with us! 20 Amps,	30 Amps,	50 Amps,	Covered Pavilion,	Dump Station,	Firewood,	Family Friendly,	Game Room,	Group Camping,	Hiking and Nature Trails,	Horseshoes,	Laundry,	Planned Activities,	Pump Service,	Rec Hall,	Restrooms/Showers,	Sports Courts,	Swimming Pool. New Jersey offers some of the best camping on the East Coast. Whether you prefer camping in a motorhome, fifth-wheel, traditional camper, tent or just want to try the camping experience by renting a cabin, there are an abundance of choices for everyone. Please take a look around our website to explore your possibilities.